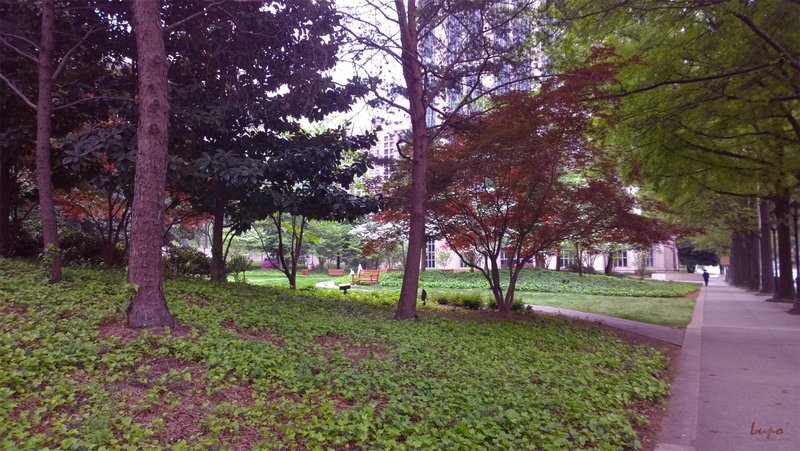 One of my favorite little green spaces in Atlanta is the small park that’s just behind One Atlantic Center at 14th Street and West Peachtree. 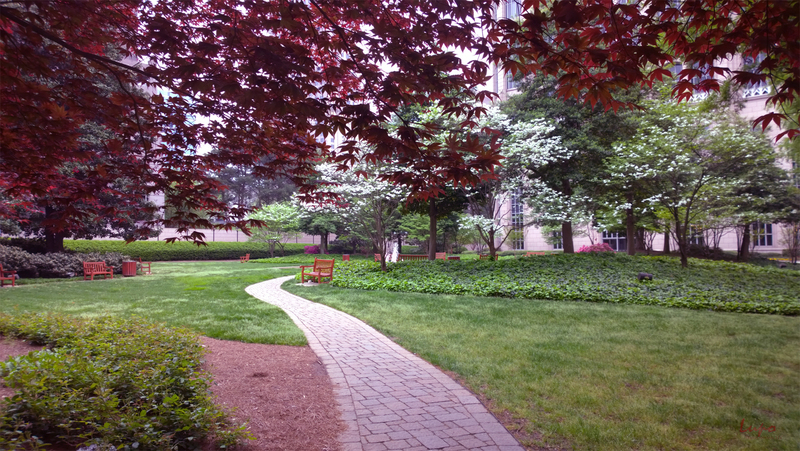 It’s totally surprising as one is walking along to encounter the meandering path with it’s colorful benches and circular water fountain in the shadow of the impressive architecture of One Atlantic Center. 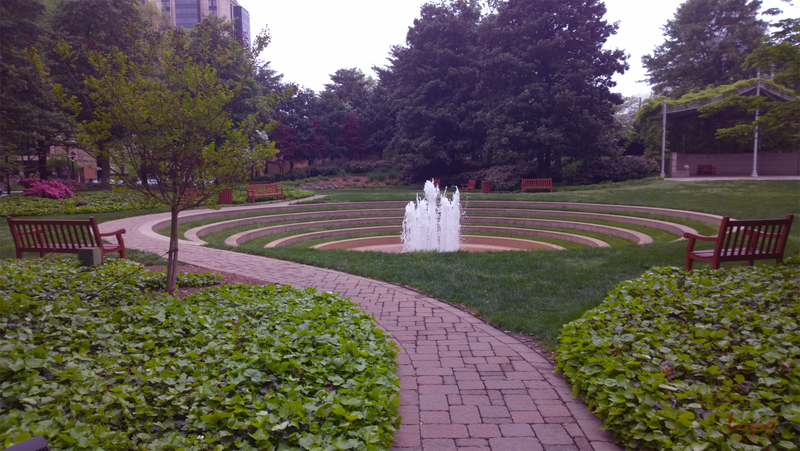 Whenever I’m headed South from the Arts Center MARTA station, particularly if I’m headed to Piedmont Park, I always take the detour through the park rather than walking to the corner. I think most can see why. 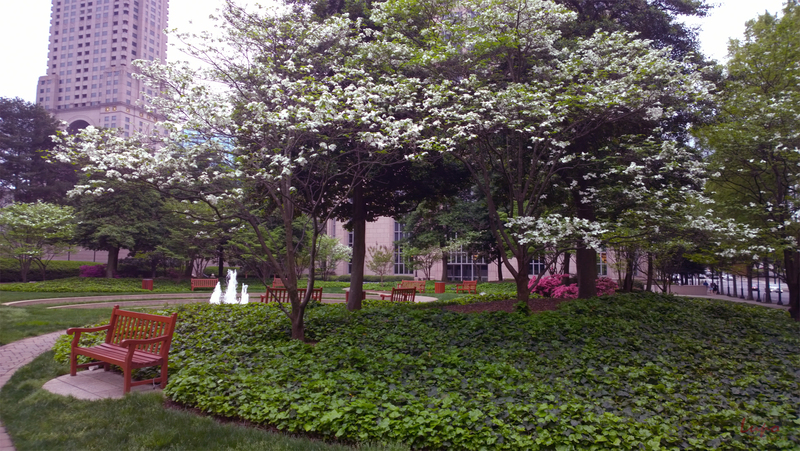 Spring is especially nice with the trees in bloom.